UNITED NATIONS, New York – The United Nations was founded 70 years ago. In that time, the world has seen enormous advances in sexual and reproductive health. Health care and family planning have saved countless lives and enabled women to pursue opportunities that had long been out of reach. These changes have helped policymakers recognize that healthy and empowered women are drivers of prosperity and progress. Below are five crucial milestones in humanity’s march towards a world where women’s health, dignity and human rights are global priorities. See how the UN and UNFPA have contributed to some of these successes, and how much of this work remains unfinished. 1. Contraceptives became readily available. The birth control pill became commercially available in 1960, and it quickly became a favourite form of contraception among women. Many people credit the pill with sparking a revolution in thinking about a woman’s right to choose for herself when and whether to have children. Many more contraceptive options have since been developed, and their use has exploded. In 1970, nearly a quarter of women of childbearing age (who were married or in a union) were using a modern method of contraception, according to estimates from the United Nations Population Division. Today, about 57 per cent of such women use a modern contraceptive. 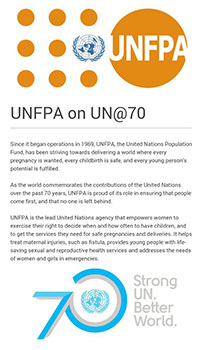 Click to learn more UNFPA's contributions as the world celebrates the UN at 70. 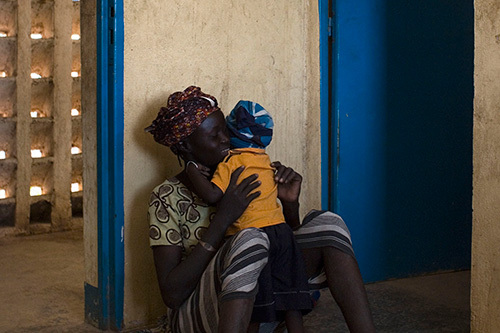 By decreasing pregnancy-related complications, these contraceptives save women’s lives. Over the last 20 years, family planning in developing countries has cut maternal deaths by an estimated 40 per cent. It did not take long for people to realize that the benefits of family planning extend beyond individuals. By empowering women to continue their educations and join the workforce, contraceptives help women better support their families and contribute to economic growth. In 1994, at the International Conference on Population and Development, countries from around the world unanimously affirmed that access to voluntary family planning is a human right and a crucial way to help developing countries emerge from poverty. Still, the world has much further to go. There are an estimated 225 million women who want to avoid pregnancy but are not using an effective contraceptive method. UNFPA works with governments, health systems and communities to increase women’s access to family planning, including by distributing a reliable supply of contraceptives in places where they are needed most. 2. Improved standards of care have made most maternal deaths preventable. Not long ago, it was common for women to die in childbirth. Accurate global data was not yet available, but historical reviews have shown steep declines in childbirth-related deaths since the 1940s. One of the main factors has been higher standards for midwifery care. 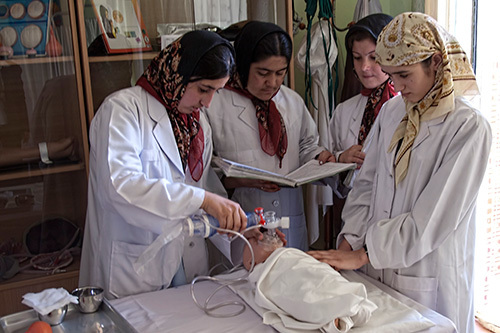 In all countries that have achieved dramatic improvements in maternal survival, professionally trained midwives or people with midwifery skills, such as doctors or nurses, have played a key role. Another factor has been the development of safe and reliable treatments for common causes of maternal death. For example, infection, excessive bleeding and high blood pressure are three of the greatest killers of mothers. Early drugs to treat these complications were available in some countries before 1945, but these medicines have since been modernized, and have come to be considered standard. Drugs to treat post-partum bleeding and infection were included on the first global list of essential medicines, released by the World Health Organization (WHO) in 1977, and today there are treatments available for the vast majority of causes of maternal death. Still, too many women continue to die of pregnancy-related causes – nearly 800 every day – and most of these deaths are entirely preventable. UNFPA supports training for midwives and other health professionals, and distributes life-saving drugs and equipment in remote and emergency-affected communities. But much more work is needed to put an end to these unnecessary tragedies. 3. Condoms became widely available around the world. Condoms have existed in one form or another for hundreds or, by some accounts, thousands of years. Mass production of these devices began in the mid-1800s, but many countries banned their advertisement or sale around the turn of the twentieth century. By the 1960s and 1970s, countries such as France, Ireland, Italy and the United States began repealing these laws, and condom use skyrocketed. When the HIV epidemic struck in the 1980s, global condom distribution became the cornerstone of public health efforts. Female condoms were also introduced in 1980s, further widening the contraceptive and disease-prevention options available to consumers. When used consistently and correctly, condoms are the only way, besides abstinence, people can simultaneously protect against both unintended pregnancies and sexually transmitted infections (STIs), including HIV. Still, public health experts say levels of condom use for STI prevention remains insufficient, particularly among the most vulnerable people – including at-risk adolescents, marginalized populations and those in remote communities. In 2013, UNFPA was the top supplier of condoms to low- and middle-income countries, distributing more than a billion male and female condoms. 4. The AIDS crisis inspired a global response. When HIV was initially identified in the United States in 1981, it ignited a panic that spread almost as fast as the virus itself. The illness soon appeared all over the world, killing millions. Prevention efforts, including education and condom distribution, were launched around the world, and therapies were soon developed, changing HIV from a mysterious death sentence to a manageable disease. By the mid-1980s, the first HIV test was developed, and by 1987, the first treatment was approved. Further treatments have since been developed, including treatments that can prevent a woman from passing the virus along to her foetus during pregnancy. But for years, these therapies were unaffordable or unavailable in much of the world. 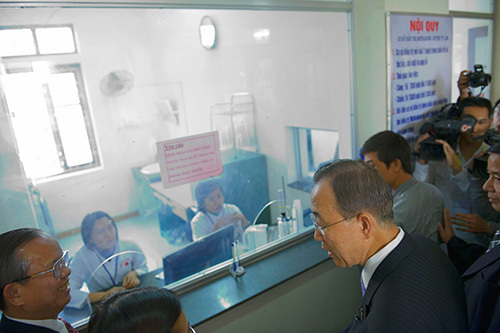 In 2000, leaders convened at the United Nations to put HIV at the top of the global agenda. The results have been impressive: AIDS-related deaths have fallen 42 per cent since 2004, and new HIV infections have fallen by 35 per cent over the last 15 years. Fifteen million people living with HIV now have access to antiretroviral therapy. But the crisis is far from over. Some 1.2 million people died of AIDS-related illnesses last year alone, and 2 million people were infected. Almost 22 million people living with the virus do not have access to antiretroviral medicines. Those most at risk are the most vulnerable, most marginalized people in the world, including women and girls who are not empowered to make decisions about their own health, communities living in crisis conditions, and people subject to stigma and discrimination. 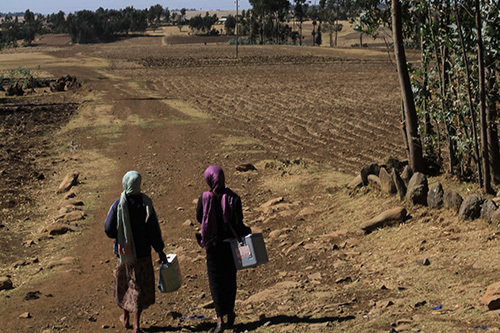 Treatment and prevention programmes must be dramatically expanded to reach everyone in need. A key way to do this is to integrate HIV prevention, treatment and testing into broader reproductive health care. 5. World leaders united to save women’s lives. After the United Nations was founded in 1945, it became involved in international health efforts almost immediately. In 1948, WHO was formed to help coordinate global public health initiatives. In 1969, UNFPA became operational, working to raise awareness of the centrality of women’s health and equality to social and economic development. Still, a clear picture of the state of women’s health was missing. In 1985, WHO produced the first global maternal mortality estimates. Today, UNFPA plays a major role in the biennial release of global maternal death data, helping to pinpoint where mothers’ lives are most at risk. In 1987, experts and world leaders began to set global goals on dramatically improving reproductive health, with UNFPA, the World Bank and WHO launching the Safe Motherhood Initiative, which challenged countries to improve care for mothers. In 2000, world leaders met at UN Headquarters in New York to adopt the Millennium Declaration, leading to the Millennium Development Goals. Goal 5 called for countries to reduce maternal deaths by three quarters and to achieve universal access to reproductive health care by 2015. Although this goal was not met, improvements in women’s access to care resulted in a 45 per cent decline in maternal deaths. Last month, world leaders again met at UN HQ to adopt new global objectives. The Sustainable Development Goals call for further reducing maternal deaths, ensuring universal access to sexual and reproductive health care, and achieving equality for all women and girls. UNFPA and its partners are working to meet these new goals. They are ambitious and will require unprecedented efforts across countries, continents and industries. The challenges are enormous and complicated. But the lesson of the last 70 years is that these efforts are necessary for the advancement of humanity, and progress will not stop.